When, early in his career, Professor Williston was incapacitated by mental illness for several years and received salary while on leave, he not only expressed his profound thanks, but later contributed to the university an amount greater than his unearned salary. When Samuel Williston began to teach in the Harvard Law School in 1890, he found as associates three of the great names that had originally grouped themselves about Langdell at the Harvard Law School—Thayer, Gray and Ames. 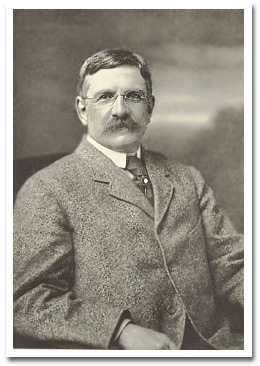 Langdell had arrived at the case-system because he thought of law as a set of principles to be derived from the reports by the process of induction; he appealed to the analogy of the physical sciences, and it may be that it was this that, some years before, had so much impressed President Eliot of Harvard University, who had himself been a chemist. This is not the place to discuss the validity of the analogy, but it is hard to resist the belief that this basic concept had something to do with the persistency with which he sought to find uniformity amid the decisions, which were by hypothesis the phenomena for his induction. It often led him altogether to disregard the judges’ reasons, and to substitute, in justification of their results, explanations entirely foreign to anything that had ever been in their minds. Ames was a great legal historian, who had traced many doctrines from their seeds to fruition; he was given to finding the leaf and flower more perfect in the bud than was always obvious to others. In practice, the law which he taught had an esoteric flavor somewhat like Langdell’s. Both were great men; but both were disposed to search for, and find, underlying syntheses that were at times authentic with them. Thayer and Gray were of another stripe. They did indeed recognize that law must pretend to generality, if it is to have an authority greater than the personal word of the judge, but they were content to accept the variants with the theorem, and to let consistency take care of itself as best it could; and Gray expressed this outlook in lectures of charm and humor, to which—it seems to me—nothing that has followed, has added, and from which nothing has taken away. Williston instinctively found himself ranged with Thayer and Gray, although his subject might well have led him in the other direction. Consent had for many years been the cornerstone for much of the political thinking of the time; and to make it serve, the judges had gone to great lengths to discover in contracts an initial acceptance of consequences they felt bound to impose upon the promiser. It assuaged harsh results, if one could say that the sufferer had agreed to them in advance, and sophistry, as ever, was a facile handmaiden to authority. It is a commonplace that men’s thinking is conditioned by their passional make-up, and it was inevitable that Williston should have refused to accept scholastic overlays, however currently imposing. His direct and penetrating mind was free to act as a solvent upon any such plating, because he was not overawed by authority, but more particularly because he had no interest in subtleties for their own sake, or enough interest in formal symmetry to obscure what lay before him. 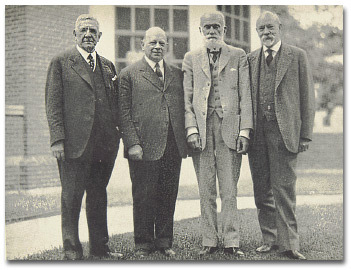 From left to right, Samuel Williston, Joseph H. Beale, George L. Kittredge, and William C. Wait—four distinguished classmates of the Harvard Class of 1882. He was an innovator throughout his subject, but by steps, and in response to an intellectual detachment which stifled overwhelming loyalties or the afflatus of revelation. Such men certainly never figure among the Luthers of this world, and no doubt the world owes much to its Luthers; abuses get deeply rooted and entwine so much that to tear them out will fetch along much that is good. The eruptive energy necessary can apparently be nurtured only upon burning concepts, arrived at intuitively, coming with the impact of absolute certainty. But whatever their services, revolutionaries obstruct the path to truth; the qualities which clear it are wholly inconsistent with theirs: skepticism, tolerance, discrimination, urbanity, some—but not too much—reserve towards change, insistence upon proportion, and, above all, humility before the vast unknown. In the author of this book these qualities were happily fused, as he who reads it will learn. He will find the picture of one who had neither vanity, nor its ounterpart, self-depreciation; neither pedantry, nor intellectual slackness; neither worship for the past, nor a heart open to each new-comer; it will not be hard to see why the serene spirit—even under its frequent load of illness—should have ended by making its possessor one of the great figures of his calling, final authority when he speaks. But one thing he will not find, for it is reserved to us who were his pupils; he will not come to know him as a teacher. For that, one should have sat under that unperturbed young man; one should have felt the impact of the apparently effortless self-possession, which, though it never imposed itself, always won. For, while this Socrates of ours never coerced our assent, like his prototype he did not let us alone until we had peered into the corners of our minds, and had in some measure discovered the litter they contained. Such self-revelation was indeed often painful—is painful still—but out of it came a gratitude which has endured; still endures after the initial difference in years has been foreshortened almost to the vanishing point. We would give up much to keep this memory; we do not shame ourselves in acknowledging that we have never shaken free from the dominance, then secured; it has been a happy subjection, dishonoring neither side. And this book in which he tells us of himself is for all of us a fortunate occasion: once more it gives us an opportunity to salute our master. — By Justice Learned Hand. From Life and Law by Samuel Williston (Boston: Little, Brown, and Co., 1940). 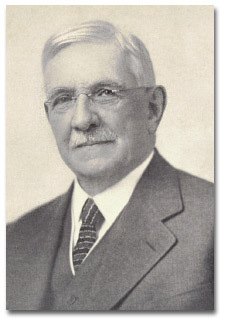 Samuel Williston was a member of the Unitarian Church in Harvard Square, Cambridge, MA.